Based on the racist lies and violent rhetoric coming out of Donald Trump’s mouth, and the closeness to which the MAGA bomber and the synagogue shooter adhered to what was coming out of Trump’s mouth, there is no question he’s morally and realistically responsible for murder and attempted assassination. The only question has been whether he was legally responsible – and that’s partially been a question of intent. After his remarks today, there’s no remaining doubt. 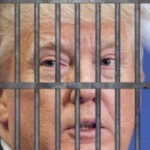 Put another way: if you were a prosecutor, could you go into court and legally prove that Donald Trump intended to cause criminality and violence with his rhetoric, or that his rhetoric reached a criminal level of recklessness? That’s not so easy to prove beyond a reasonable doubt, even if we all know it’s true. One potential determining factor would be what Trump said after he learned that his mouth had just led to the murder of eleven people in a place of worship, and the attempted assassinations of numerous Democratic Party leaders. After days of smirks, innuendo, and jokes about his own hair, Donald Trump was asked a direct question today: was George Soros funding the caravan in Central America. Trump’s answer: “I wouldn’t be surprised. A lot of people say yes.” And there it is. It might as well be a confession. This comes after the MAGA bomber tried to assassinate George Soros under the false belief that Soros was funding the caravan, and the synagogue shooter decided to murder as many Jews as possible in a deranged attempt at stopping supposed Jewish funding of the caravan. Now that Donald Trump has seen the deadly and calamitous consequences of his violent rhetoric and racist lies, he’s decided to escalate things by zeroing in and pushing the specific lies that led to this past week’s violence. Is this enough to convict Donald Trump for inciting violence? I don’t know. I don’t care. Ask a lawyer. But as the supposed President of the United States, Trump has to be held to a higher standard on these things. He used the office of the presidency to incite violence, and now he’s trying to incite even more violence. To hell with it. Charge him with criminal conspiracy to commit murder and let the jury sort it out. Trump is an out-of-control violent thug who’s getting people killed, and it’s time to lock him up.